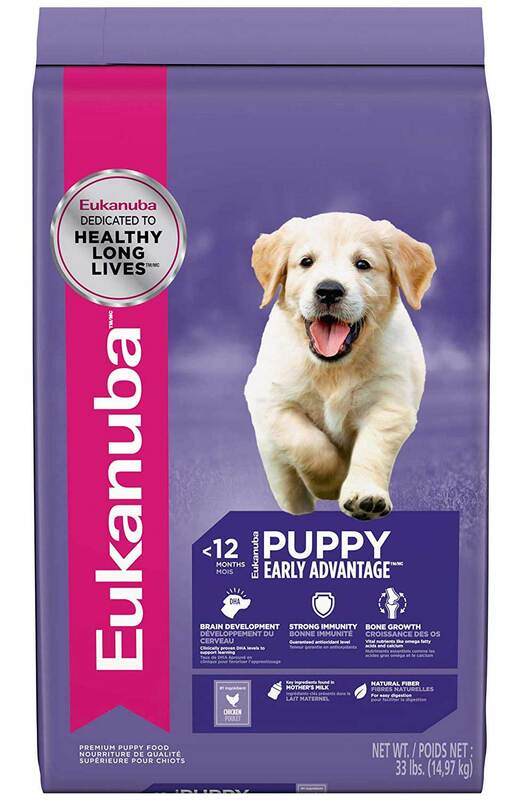 Should You Purchase Eukanuba Brand Canine Food For Your Pup? 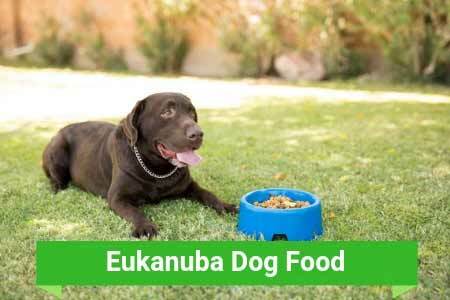 Eukanuba is a dog food brand name that believes that dogs should be fed as they are meant to be fed. Their line of dog food products aligns with this belief. 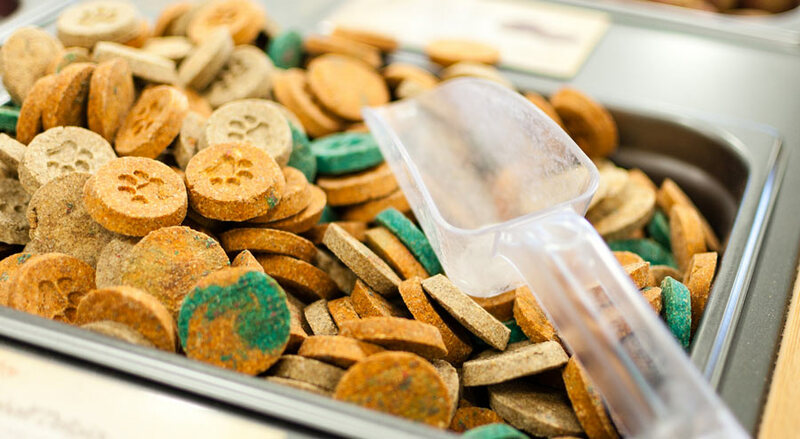 Their more than forty years of experience in processing dog food puts them in good standing above the rest of the competition in the industry of dog food manufacturing. The company’s varieties of high-quality dog food offers are based on the principle that dogs are basically carnivores. With this belief, the products processed by Eukanuba are derived from animal-based proteins of the highest quality to include lamb and chicken. Another thing that Eukanuba put their faith on is healthy nutrition for canines. The company maintains that Fido can only be happy, healthy, and have a longer lifespan if they are fed on formulas that specifically answer their activity levels, breed, size, shape, sensitivities, and life stages. 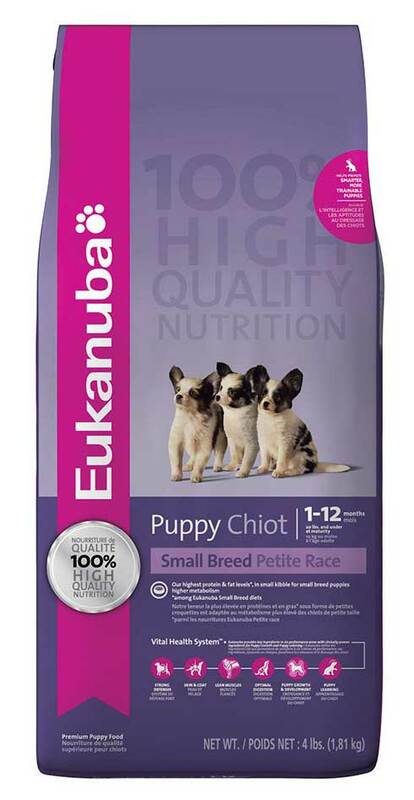 The varied dog food products from Eukanuba are readily available in most specialty pet stores, online pet retailers, dog food chains, and local pet stores. There are times when coupons are offered by Eukanuba. You may be able to get them from retailers or from the company’s official website. Using social media platforms as a way to connect with Eukanuba also rewards you with special offers, discounts, and the latest updates. Paul Iams is the founder of Eukanuba which he set up in 1969. The reason that compelled Paul Iams to set up the company was to create a different line of dog products with a superior quality above the other dog brands offered on the market. The choice of name was taken from a jazz term. Eukanuba in jazz means “the top” or the “supreme” one. This term aptly described what Iams had in mind, hence the name of the dog food products. Procter & Gamble manufactured the Eukanuba dog food line products until 2014 when ownership was transferred to Mars, Inc. Acquiring the company made Mars, Inc solidify its reputation for being the biggest manufacturers of pet food across the globe. Currently, Mars, Inc ranks 6th place as the biggest and privately-owned company in the United States. 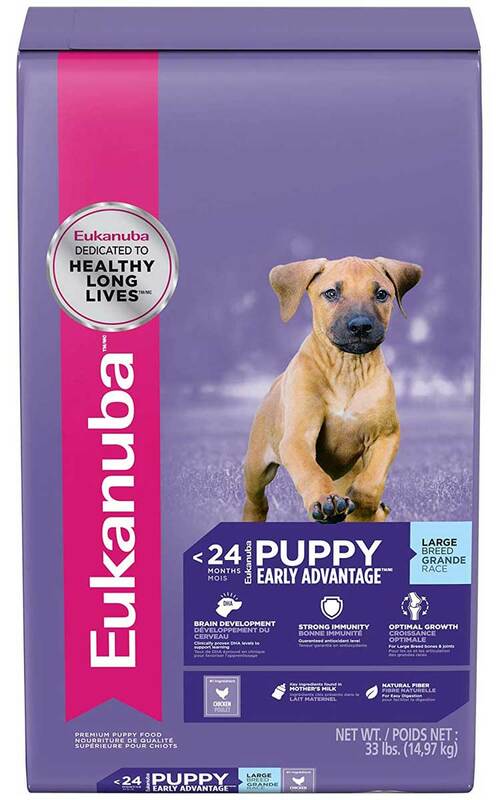 There are numerous dog food products offered by Eukanuba as a way to provide the best nutrition to all dog types and breeds, size, activity level, and life stage. The dog food varieties offered by the company include dry, wet or canned, and treats. The dry food line includes 27 varieties while the canned or wet formulas number 10. Dog treats give pet owners five choices as well. 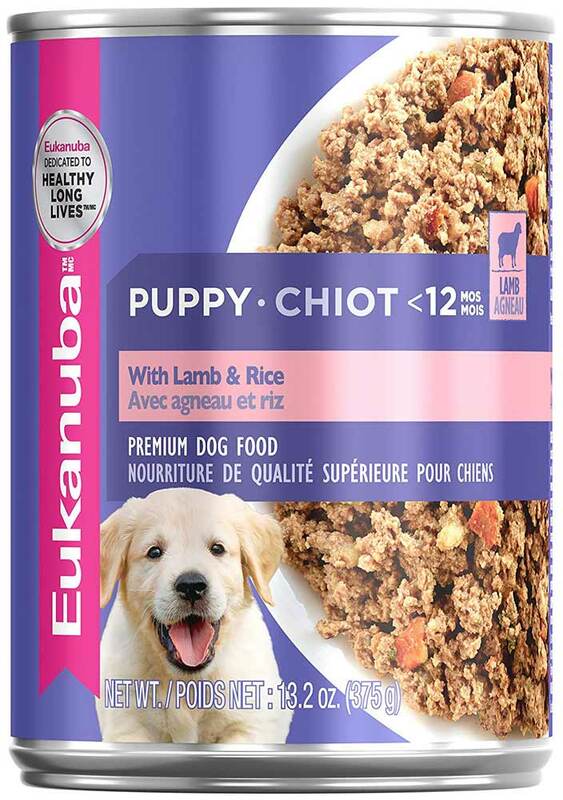 The dry dog food formulas from Eukanuba are the company’s biggest food line. Occupying top position is the Life Stages Recipes that covers a collection of formulas for breed sizes, puppies, weight management, senior dogs, and adults. Two high-protein formulas are the products offered by the Premium Performance. Specific nutritional needs are offered by the Breed Specific recipes while two formulas are given by the Excel Adult products. The varieties of wet or canned products from Eukanuba are all made from the highest-quality animal-based proteins to include beef, turkey, and chicken. The relationship between a pet parent and a pet child is further cemented during bonding times. Most likely, these play times also call for special treats. Treats are also the best way to go when the pooch is being house-trained. Eukanuba understands this by offering five different types of treats suitable for all kinds of canine. It’s only natural for products to claim to be the best of the best. However, living up to the claim is a different story. The best ways to find out more about the products is to read reviews such as this article and from consumers. We may not be able to provide a complete review of all dog food products from Eukanuba. We can, however, review some of the most popular dog food products from Eukanuba to make you see and decide if it’s right for your beloved pooch. All adult breeds, shapes, and highly-energetic dogs will do well with the recipe that specifically concentrates on their optimum nutrition. The formula is also guaranteed to work with working dogs, nursing, and pregnant dogs as well. Growing puppies weighing between 5 to 70 lbs. will meet their nutritional needs with this specially designed formula. Yet, smaller breeds to include Poodles, Terriers, and Dachshunds will also find the food just right for them too. The smaller teeth and jaws of growing puppies will find the small kibbles more manageable to chew on. Growing and development needs are more than adequately met by the rich protein content of chicken. Your big breed puppy is guaranteed to grow like a big boy or girl should with this special formula that is geared for larger dog breeds. German shepherd, Labs, and Rottweiler puppies will love the chicken recipe from Eukanuba. This canned formula guarantees a sumptuous dinner with more than 9% protein content to the pup. The lean muscles inherent in Adult Rottweiler need daily maintenance to keep them at their optimum level. One of the crucial elements needed to maintain lean muscles is a daily healthy dose of protein. This protein-rich formula is the perfect daily food for your Rottweiler to maintain peak health. Our beloved Labs deserve the best nutrition as well as the best-tasting food that this specific formula provides in spades! Instead of acting as fillers, the milled by-products included in the formula are the direct sources of both glucosamine and Chondroitin. What People Have to Say about Eukanuba? The best way to find out if a brand is good for your canine companion is to read comments made by other people. Thankfully, not only is it much easier to find genuine customer comments today than ever before, but Eukanuba is a brand with a long history so that you can observe if they tend to change or have lost any quality in the past. When assessing the comments made by customers online, there are a few things you should remember. First of all, online comments are biased towards negative reporting, regardless of the subject. Simply, people are more driven to complain when something is bad than when everything is as it is supposed to be. This is not a bad thing, as you want to know if there is even a sporadic issue, but you should weigh all positives and negatives equally. Always look if the situation cited in the complaint is similar to yours, and then you can be worried about the product not being for your dog. Finally, when the product has been on the market as long as Eukanuba, always try to find how old the comment is. You might be reading reviews from several years ago. Always read the new ones and try to weight the situation to the best of your abilities. 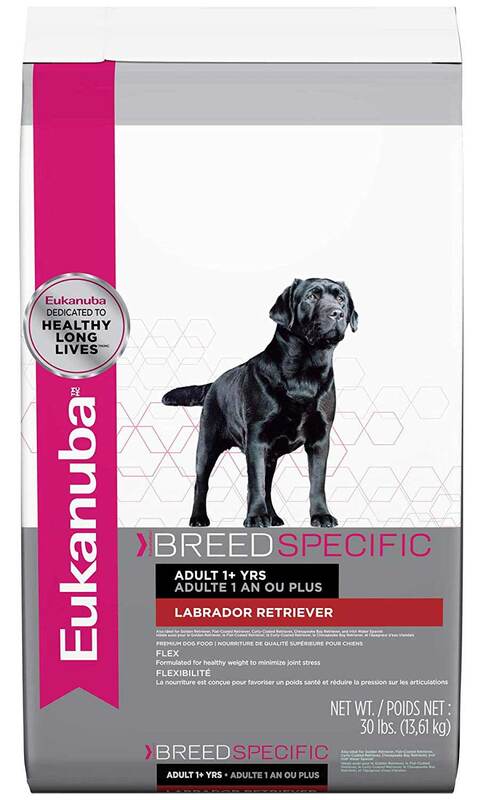 As previously mentioned, Eukanuba has been on the market for decades now, with the first formula made in 1969. They are manufactured by the same company that makes Iams, although having a different approach and formula. Most people are confident in Eukanuba and have been using them for years, which should inspire confidence in others. Additionally, while it is not the cheapest brand, it is more than on par with other premium dog food manufacturers, making it an excellent value. As their dry food consists of very small pellets, it has been shown to be a perfect choice for small breeds. 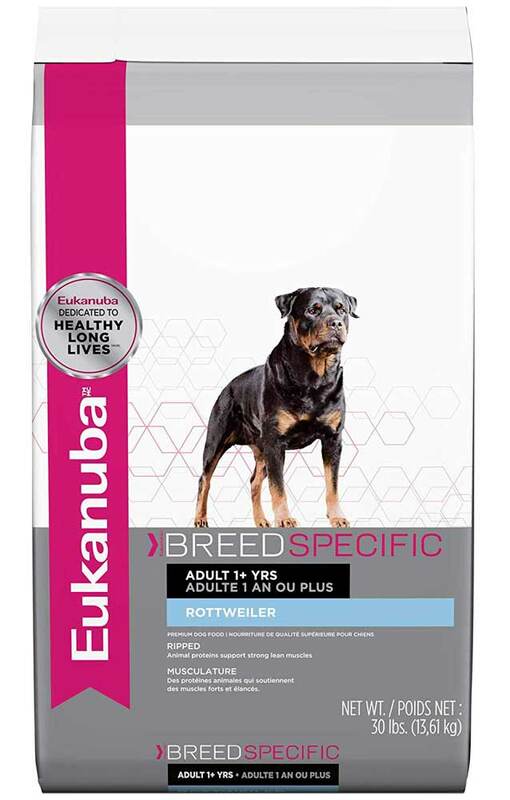 In most online reviews the prominent complaint is that Eukanuba is often not available. Other companies have worked hard to spread their affiliates all over the country and to have their products in every vet’s office, while Eukanuba hasn’t. If you want to buy this brand make sure that you have a way to ensure a steady supply as an affordable price. This means either buying in bulk and having it delivered, or being confident in your dog food seller that they will keep this brand on their shelves. To be certain that your dog will get the best possible nutrition, and you are considering Eukanuba, there are a couple of points you will need to cover first. This is a high-quality brand, and there isn't a possibility that it would poison your dog because of bad quality food. What may happen is that your furry friend is allergic or sensitive to some of the ingredients, meaning that you should pick a different type of food. Once you know what you want, you will need to ensure that there is a steady supply, as changing dog food is very unhealthy for your dog. Finally, you should always see if there are coupons or other ways to diminish the cost of dog food, as this will make Eukanuba have even better value than it already does. Even if the ingredients included in the dog food products of Eukanuba are not par with its claim of being among one of the best in the industry, the happy customers more than makeup for it. Not only are pet parents happy, so are the dogs which are the only things that count. Some customer complaints may be because their dog’s disposition is not attuned to Eukanuba. Happily, the good reviews about Eukanuba far outweigh the bad ones. What about you? 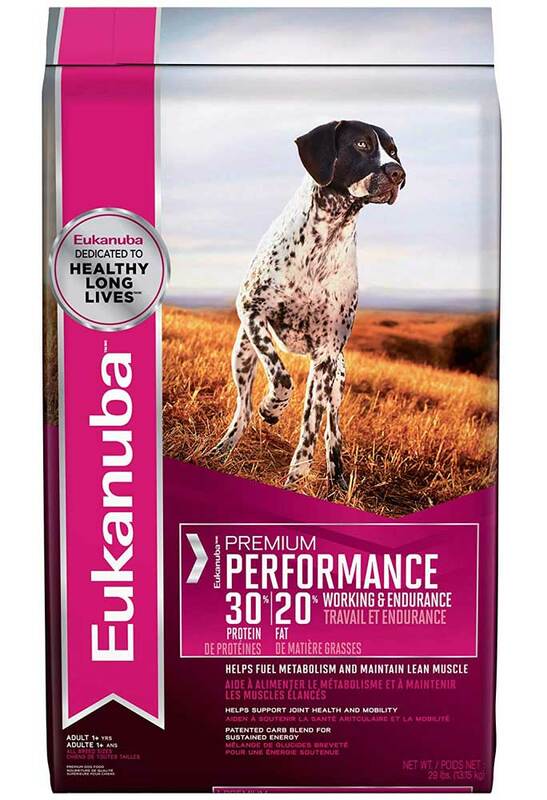 Do you think Eukanuba is the right dog food for your best friend? 6.8 What People Have to Say about Eukanuba?